Has it been years, but feel like ages, since you last smiled confidently, knowing your smile was creating the kind of positive first impression you would like? 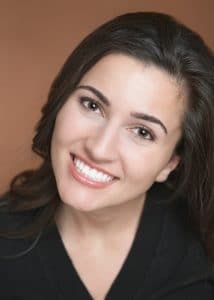 If you have long been plagued by dental imperfections, you may not even remember how great it once felt to have a beautiful smile you enjoyed showing off. Fortunately, porcelain veneers are a comprehensive cosmetic treatment option that can help to hide or correct many imperfections. Perhaps best of all, though, they can be carefully crafted to create incredibly natural-looking results. That way, you can smile confidently knowing people will see only your beautiful smile, not your cosmetic dental work! What Could Veneers Do for You? Porcelain veneers have long been one of the most popular cosmetic dental treatments available, likely because of how comprehensively they can help to correct smile concerns, but also because of their longevity and natural-looking appeal. What makes veneers a great choice for smile enhancements? Inconsistences in the size or shape of teeth can create a great deal of embarrassment. These can both be corrected with porcelain veneers. Jagged edges caused by general wear or even teeth grinding can often be addressed with veneers, as well. That said, if the teeth grinding has created discomfort, the dentist might actually recommend porcelain crowns, instead, since these can help to protect the teeth while also improving the appearance of the smile. Porcelain veneers can sometimes be used to hide minor gaps between the teeth, as well. That said, functional alignment problems should likely be addressed with orthodontic treatment. Ready to Schedule Cosmetic Dentistry? Cosmetic dentistry can help you address many smile imperfections, with beautiful results. To learn more, or to schedule your appointment, call Dr. Steven Huffstutler in Ft. Worth, TX, today at 817-577-1444.